We've completed a brand new 4,500 sq.ft. 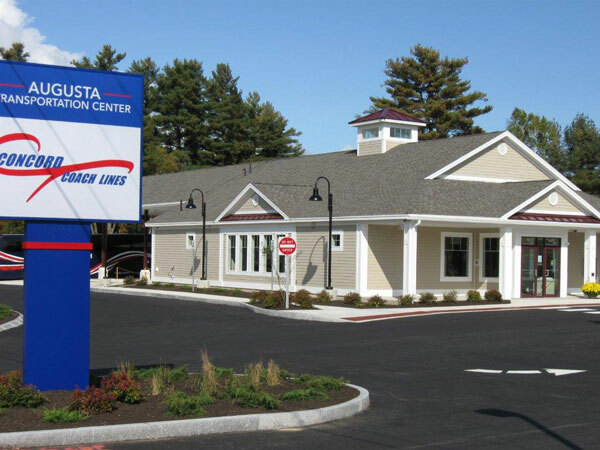 design-build bus station in Augusta, Maine. This project included a general office, ticket counters, waiting area lobby, private driver break room, bulk storage, and bus loading canopy at the loading area. A large paved parking lot and gate controls was also constructed.